Short Story VS Novel Writing: What is the Real Difference? Writing is something that brings joy, happiness, and laughter. It can tell future generations about what our lives were like when we were young. It can teach. But there are many different types of writing. Essays, book reports, short stories, novels and novellas. With this we wonder, what is the real difference between all of them. What are the things that separate all these forms of writing? So, that’s what we’ll be discussing. 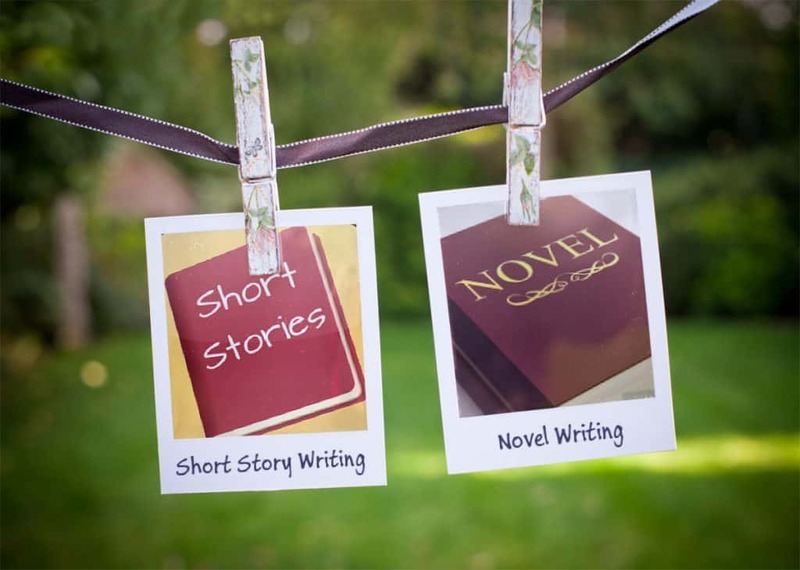 What is the real difference between short story writing and novel writing. The difference between these things will help to improve your writing as well, after all, if you know what you need to try to emulate for writing one of them, then you’ll be able to keep a short story from turning into a novel or vise versa. As you can guess from the very name, short stories are short and novels are not. It seems like an obvious difference, but in reality, it’s not. While there are no rules about how long a short story or a novel should be (because rules can’t dictate creativity), there is more to it than that. A novel is a larger scale project than a short story. It takes a lot more stamina than a short story. It takes longer to write, so you need to make sure you have a sustainable idea. You need to be able to commit a large amount of time to a novel as well, whereas a short story will need less time. It is much easier to lose where you were in your writing when you are writing something as long as a novel too. That’s why it’s important to keep an outline and notes about where you want the story to go so that you don’t forget what you were writing last. The longer you narrative, the more you have to think about pacing too. You want to convince readers to continue reading. Pacing is affected by a number of things in your plot that happen as well as the level of detail in your writing. You need stuff to happen in a novel, and it’s almost instinctual to keep adding stuff into a novel than a short story. This can lead to issues, because while a novel will need to have a more complex plot and subplots than a short story, it can be easy to add too much stuff into a novel and too little into a short story. You do not need a lot more going on in a novel though, only more development of ideas you already have. More reactions from characters. More scenes leading up to the climax. More scenes showing how your character grows and how they deal with problems. Subplots can also be used in short stories and novels, but they are much more common in novels, mainly because a subplot can take quite a few pages to set up, and in a short story, those pages might be more useful for moving the main plot along. Short stories are short, so they usually only have a small problem that can be solved quickly and without much fuss. The problem will also more than often focus on the characters life. In a novel the issue tends to be more difficult to resolve and more open ended for how the problem will be solved. It will have many more directions it could head, simply because of the amount of words available to expand on the conflict. The difference between the two lies in the size of the problem and how easily it can be solved. The time it takes a novel vs a short story to finish doesn’t necessarily have anything to do whether it is a novel or a short story. In some cases a whole novel will take place in a day and a short story will take place over several years. However flash fiction (A very short story) usually takes place in one scene. So, in reality, the time your novel or short story occurs over doesn’t matter. Although, I must say that it is more common for a novel to occur over a long period of time and a short story to occur over a shorter period of time. The biggest difference between novels and short stories is depth. Novels have the room to show deeper explanation of things like characters, places, details, thoughts, and more. They can also more easily contain multiple points of view. Now, I’m not saying a short story can’t resonate with you, they can have just as much meaning as a novel, perhaps even more simply because of how direct a message must be or what’s left unsaid on the page. Instead, I’m trying to say that a novel is more likely to have depth than a short story, if only because of how much more detail can be crammed onto the pages. So, in a way, depth is caused from a mixture of length, pace, and complexity. A large difference between the two is how long it takes to write. I mean, if you are choosing to write a novel it’s expected to take quite a while, whereas a short story usually only takes a month at most. This is mainly due to the length of novels vs stories as we’ve discussed above. So, long story short, it won’t take as long to write a short story as it will to write a story. And there it is. The real differences between writing a novel and writing a short story. Now, I’m not trying to get you to pick a side, simply because they both have their advantages and disadvantages. Mainly I’m just trying to tell you all about the facts about them, so there they are. I hope this article was helpful to all writers reading this.